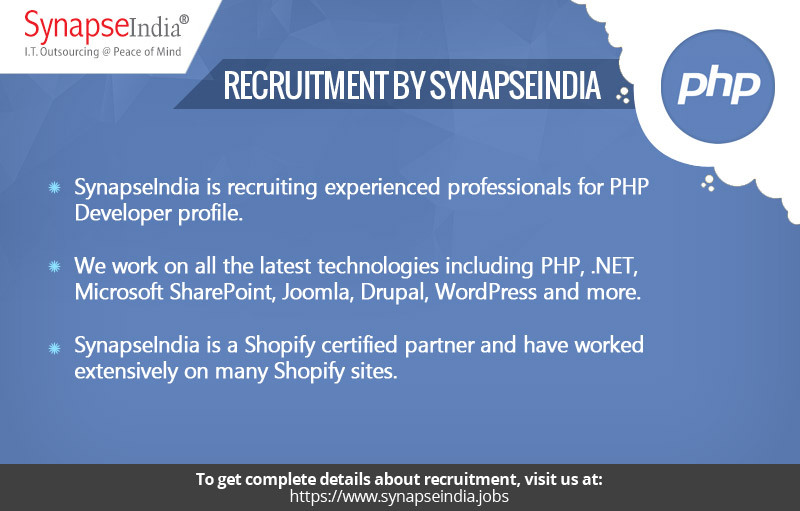 SynapseIndia recruitment for experienced professionals for PHP Developer profile. Shamit Khemka started SynapseIndia in 2000. We work on all the latest technologies including PHP, .NET, Microsoft SharePoint, Joomla, Drupal, WordPress and more. SynapseIndia is a Shopify certified partner and have worked extensively on many Shopify sites. The job location will be Noida.